The DFRobot Speech Synthesis Shield for Arduino enables your robot to speak. 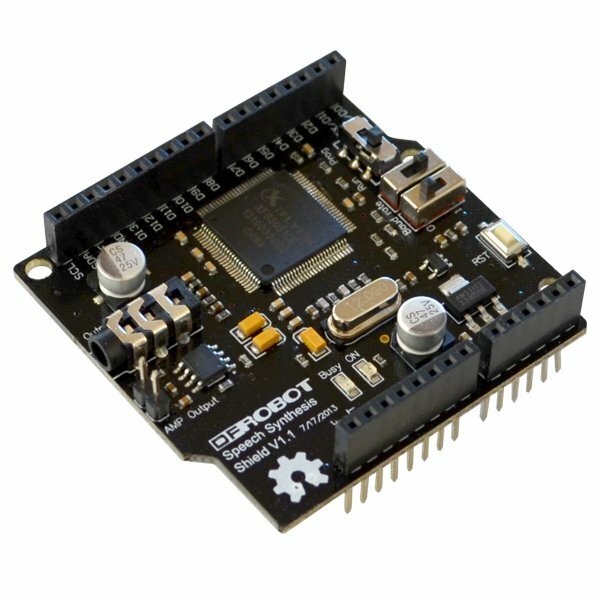 This stackable Arduino compatible shield features an IFLYTEK XFS5051CE advanced speech synthesis chip. This chip is able to speak English and Chinese in various male and female voices. 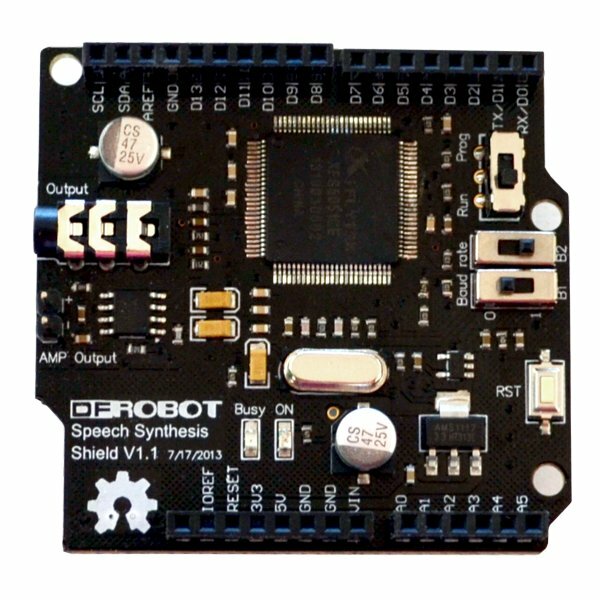 This text to speech synthesizer shield operates from 5V and uses the Arduino serial port on pins D0 and D1 to generate speech. Switches are provided to toggle the serial port between programming and run modes for selecting various baud rates. Audio is output to a standard 1/8" phone jack and a male pin header for connection to speakers. Two LED indicators provide visual feedback for diagnostics. The shield does not include an onboard speaker. Connect a speaker or headphones to hear the output.